The 2019 Jaguar F-TYPE is exactly what you would expect from a Jaguar sports car — it is agile, luxurious, and extremely powerful! Plus, it is built to meet the needs of a variety of drivers thanks to its ability to be bought as a coupe or convertible and exciting engine options. The 296 hp turbocharged 2.0-liter gives the performance you want paired with great efficiency. Or choose from one of three V6 engine options. These engines provide more horsepower but still promise impressive efficiency. Ready for over-the-top performance? Choose from one of our two V8 engines, providing 550 hp or 575 hp. Pair your engine choice with a manual or automatic transmission to create your perfect driving experience. No matter which combination you choose, your driver experience will be unmistakeably Jaguar! 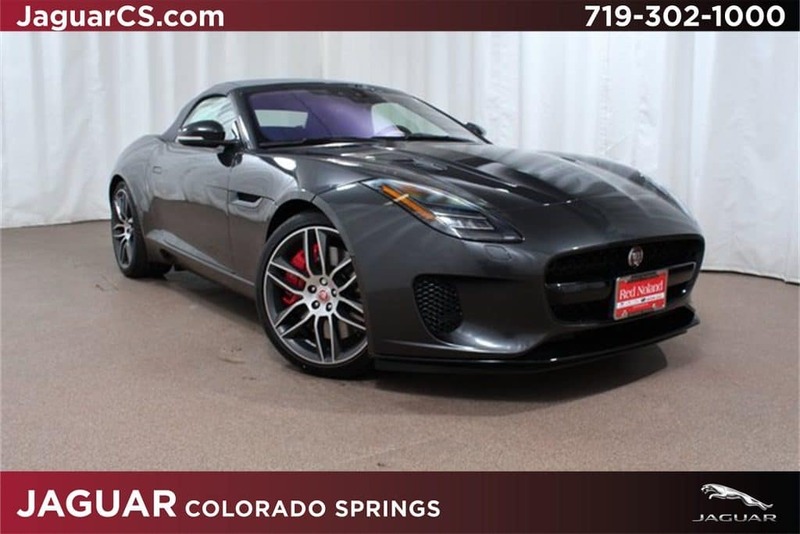 We currently have one available 2019 Jaguar F-TYPE at Jaguar Colorado Springs. It is a convertible P380 with navigation and AWD. You will definitely enjoy the performance of the supercharged 3.0L V6 engine! Stop by to see this beautiful sports car today.